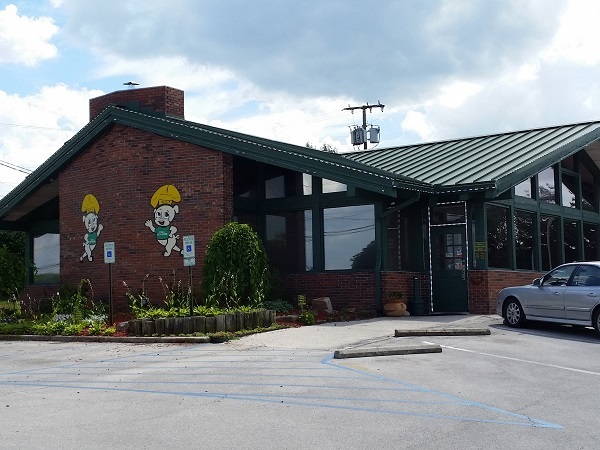 Rib & Loin, Hixson TN – Marie, Let's Eat! Then we drove over to McKay, a better used bookstore than any in Georgia, and sold some books and DVDs and, after a while, the girlchild was returned to us, at long last. It had been a long two weeks for us. I’m not sure why we miss this kid so much when she’s gone. Reckon we must love her or something. The girlchild said that she was hungry, and I said that was a good thing, because we were headed up to Hixson to get some barbecue at Rib & Loin, whose second location opened here in the late 1990s. I had visited the original location, on Brainerd, two years previously, and I mentioned then that I should have tried the ribs, what with “rib” being in the restaurant’s name and all, but I still didn’t do it this time around. I wanted to try their chopped pork again. There are a few more barbecue places in Chattanooga that we’ll visit, either for the first time or for a follow-up, before we make our way back to Rib & Loin, but when we do, I’m definitely going to get the ribs. I’ve really no excuse anymore, honestly. Our daughter remains crazy about stuffed baked potatoes, and our son is absolutely unpredictable when it comes to barbecue. He was quite tired from all the playing, and on a sugar high from the ice cream at Dub’s, so we had to ask our server for a little extra time to nail down what he wanted. Eventually we just settled on some fries and some of my baked beans for him. The pork here is very finely chopped, and it is smoky but quite dry. I enjoyed the texture and the flavor, but felt that it needed some of the sauce, but not too much. The sauce on the table is a standard, thick, brown sweet and sticky sauce like most places in the region offer. Be sure to ask for their hotter sauce instead. It’s not too spicy, but it has enough of a kick to be memorable. The slaw goes really well with this type of flavor in the meat. It’s not a very sweet slaw at all, so I tried a few bites of slaw and pork with a dab of sweet sauce on bread, and that was very tasty. The server, sadly, was not really able to answer any of our questions, including how the pork is prepared, and how long this location has been operating. (It appears to be a former Ryan’s, and opened in 1998 or so.) We thanked her from the bottom of our hearts anyway for putting up with our indecisive and really cranky kid. Somehow, he didn’t fall asleep on the way back to Atlanta, either! Are you planning a barbecue road trip? 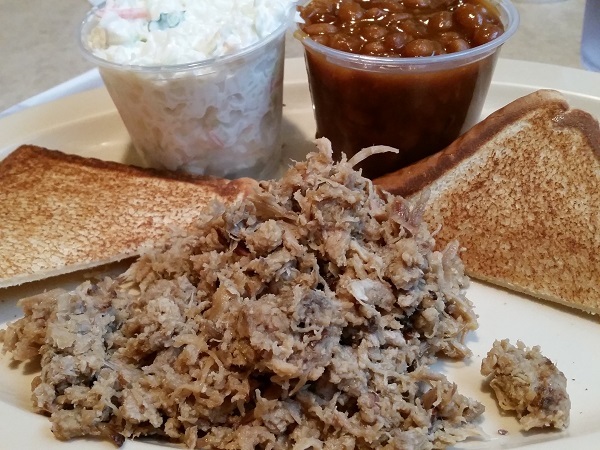 You can see all the barbecue restaurants that we have visited for our blog (more than 340 !) on this map, with links back to the original blog posts! Posted on August 7, 2015 August 23, 2017 by Grant G.Posted in barbecue, chattanooga, tennesseeTagged barbecue, chattanooga, hixson, tennessee. This location has been around for around ten years, give or take a couple of years. It was actually a locally-owned restaurant named Fehn’s prior to the conversion to Rib & Loin. I agree with your assessment…it’s not over-the-top stellar, but it is very consistent. I will say that their slaw is some of my favorite. Thanks for the additional information! I’ll have to look into Fehn’s… I love that kind of detail. Readers – if you’re surfing by, be sure to visit Mary’s blog, Chattavore, which is the best food blog in the Scenic City! Aw, thanks Grant. 🙂 Fehn’s was kind of an institution in Hixson (I have lived in North Hamilton County my whole life) so it was a little surprising when it closed. The family actually had another restaurant in Dayton, Fehn’s 1891 House, that closed last fall, but apparently it’s now Lane’s 1891 House. I never ate at Fehn’s OR Fehn’s 1891 House.